Shouldn’t nonprofits be sustainable too? When one of my team members at Food Empowerment Project shared this article with me, I was shocked and disappointed. With all of the talk these days about what is sustainable from the perspective of the planet, which we also talk about (and the environment certainly needs people to care about it), why does it not include wages that are sustainable for those who live here? Now, trust me, I completely understand the intent here. To some it might seem that this would indeed benefit an organization like ours, which has only four employees and relies primarily on individual donors. If we did not pay our team living wages (which is above minimum wage), this could have grave consequences for them. Without a living wage, they could be forced to live in substandard housing or live with people whom they do not feel safe with, and they wouldn’t be able to afford additional costs for health care, dental care, and mental health care. It’s clear their quality of life would suffer. This all could impact the organization’s ability to function efficiently and further its mission. It also means that there is a good possibility that the type of people who could work for a nonprofit would all be very similar in the sense that they would come from the same socioeconomic status and perhaps be more privileged as to have someone else assist with the basic needs that they couldn’t meet with their own paycheck. This in essence could exclude those who do not have a lot of money, many of whom would be people of color, as they cannot afford to take positions with low salaries. This effectively means that only those in the most privileged segments of society could afford to work for nonprofits. Also, this could mean that you might have a higher rate of turnover of staff, which can lead to a loss of capital (skills, knowledge, and expertise). I have spoken about this a lot in the past, especially considering what many vegan/animal organizations pay their staff and how this has helped to create a whiter and more privileged base. The irony of this is that a part of our work on lack of access to healthy foods in communities of color and low-income communities highlights that the biggest barrier for people accessing fresh fruits and vegetables is the cost. And cost is one of the many reasons why we encourage vegan organizations to push for living wages or at least an increase in the minimum wage. Many of us know when we work for a nonprofit that our salaries are not going to be what they could be if we worked in the for-profit world. But many of us have decided that trying to do good in the world is worth it. Everyone deserves a living wage, and those who work at nonprofits are not any different. Nonprofits should not be in the business of paying their employees less than what other workers receive. I hope that more donors will start to look at living wages as the base to fund organizations. Having employees who feel valued and intend to stay with the organization and help create sustainability only helps the organization to grow and thrive; therefore, it helps to push the organization’s goals. 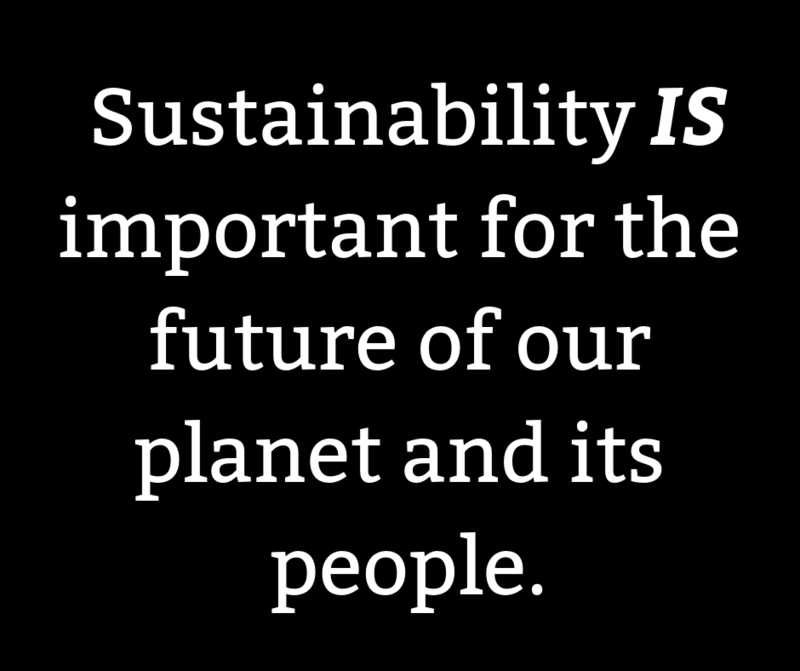 Sustainability IS important for the future of our planet and its people.